This story came up in my Google Alerts, and well, it made me laugh out loud a bit. This story is pretty intrusive, getting down and personal enough with the speeders, name, plate number, an estimated price, and average speed. The Nissan GT-R, one of only three they say in Xiamen, averaged the tunnel at 154 km/hr or 95 mph, the highest average speed they have EVER RECORDED. Hardly even breathing for a GT-R. I expect someone in Xiamen to try harder next time. They should be able to average at least 150 mph or 241 km/hr. We don't want anyone in a Porsche even having a chance to get close. It only took a red Nissan GTR sports car 72 seconds to run through the 3080-meter Xiamen Wucun Tunnel at an average speed of 154km/h on April 20th, according to Xiamen Daily report. The sports car belongs to Mr. Liu, with a license plate number of Min D8999E. It is reported that this sports car is worth RMB1.5 million. There are only three of these sports cars in Xiamen. 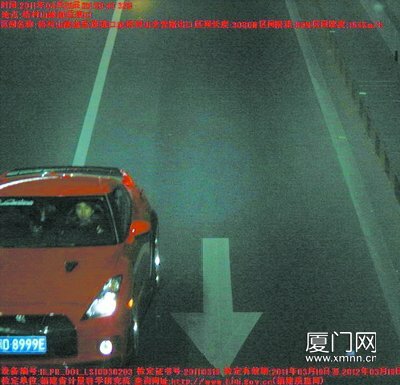 The speed of this car is the maximum that the video surveillance of Xiamen police has ever recorded, a policeman said. The owner of car will be fined RMB 1,500 and have 6 points deducted or have his driving license revoked. It is estimated that during ten days from 21st to 30th March, 16,300 cars at speed of more than 80km had been recorded by video surveillance in Xiamen’s three main tunnels. This makes us Chinese looks like sissy!